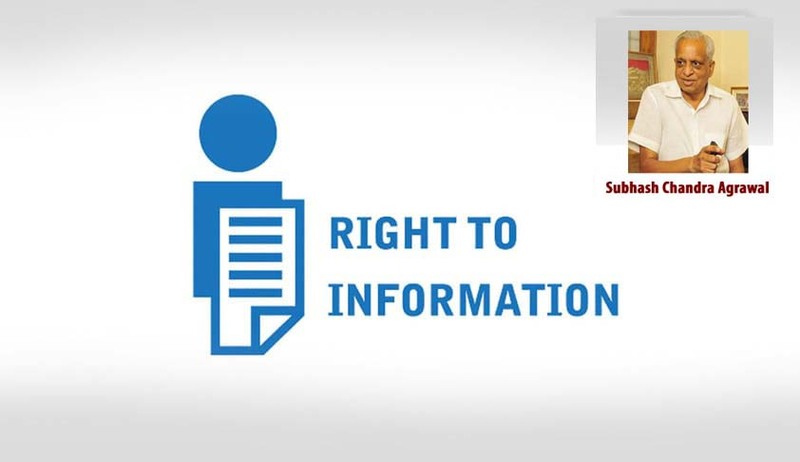 In response to an application filed by Activist Subhash Chandra Agrawal under Right to Information (RTI) Act, the Department of Personnel and Training has stated that no retired SC/HC Judges were selected as Information Commissioners so far. The reply also stated that Five retired High Court Judges were applied for the post and one of them was shortlisted. Mr Agrawal had filed the RTI application seeking complete information together with related file-notings/correspondence/documents on under-mentioned aspects also relating to enclosed minutes of meetings for selection of Commissioners/Chief Commissioners at Central Information Commission. Shri Brijendra Mohan Sinha retired Judge, High Court of Allahabad applied for the post of IC in CIC in 2013. Shri Zaki Ullah Khan retired Judge, High Court of Allahabad applied for the post of Chief IC in CIC in 201 4. Shri Brojendra Prasad Katakey retired Judge, High Court of Guwahati applied for the post of IC in CIC in 2014. Shri Ravi R. Tripathi retired Judge, High Court of Gujarat applied for the post of IC and Chief IC in CIC in 2015. It is also clarified that, no other judge except Shri Ravi R. Tripathi has ever been shortlisted for the post of Chief IC/IC in the CIC.